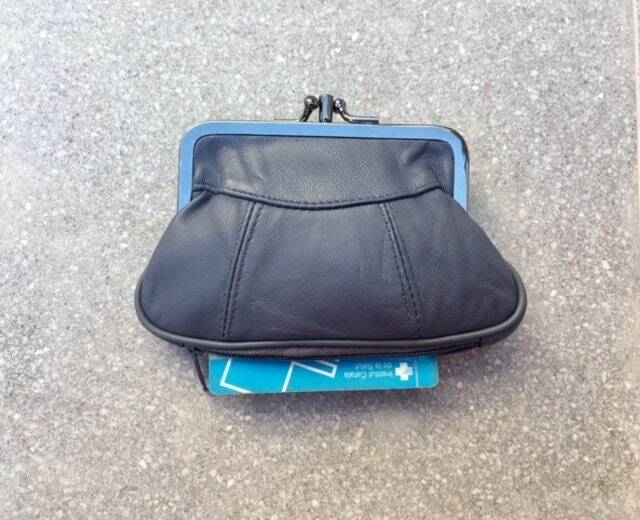 Vintage style small clip purse in genuine leather. 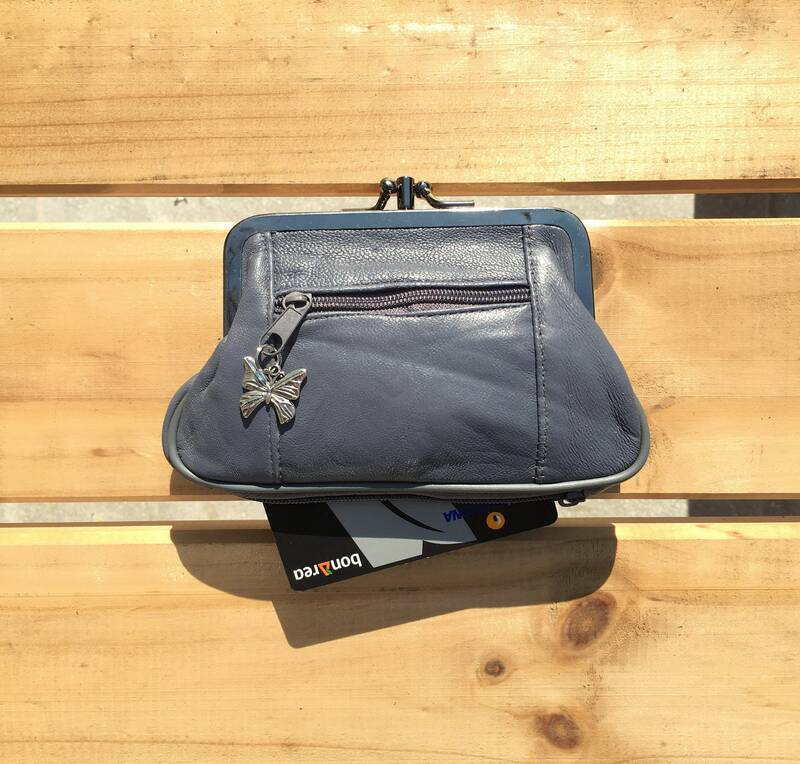 Gray clip wallet for coins, notes and separate zipper for credit cards. 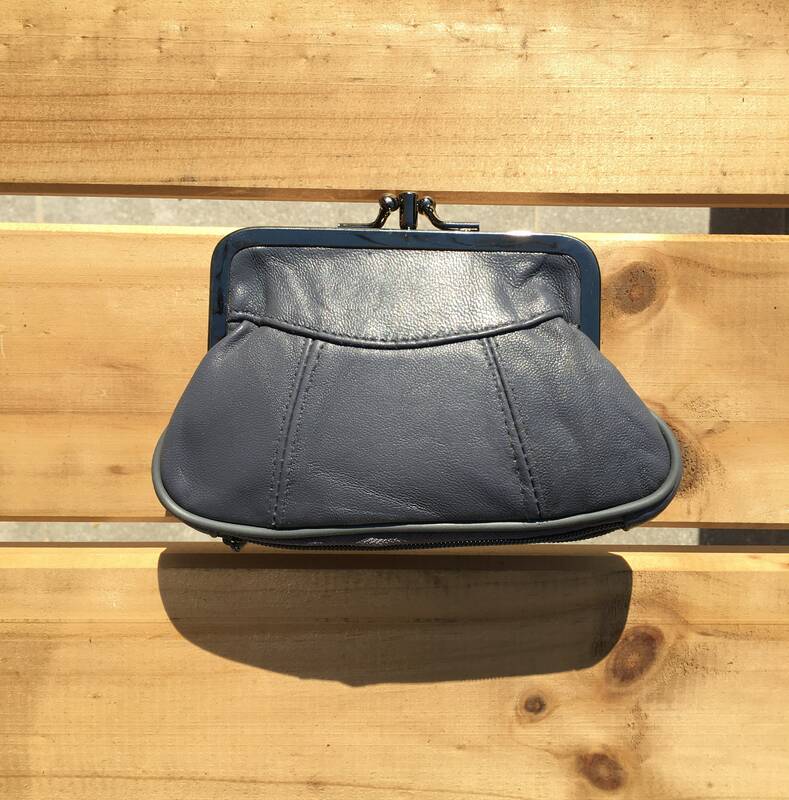 Genuine leather vintage style new purse in GRAY genuine leather. 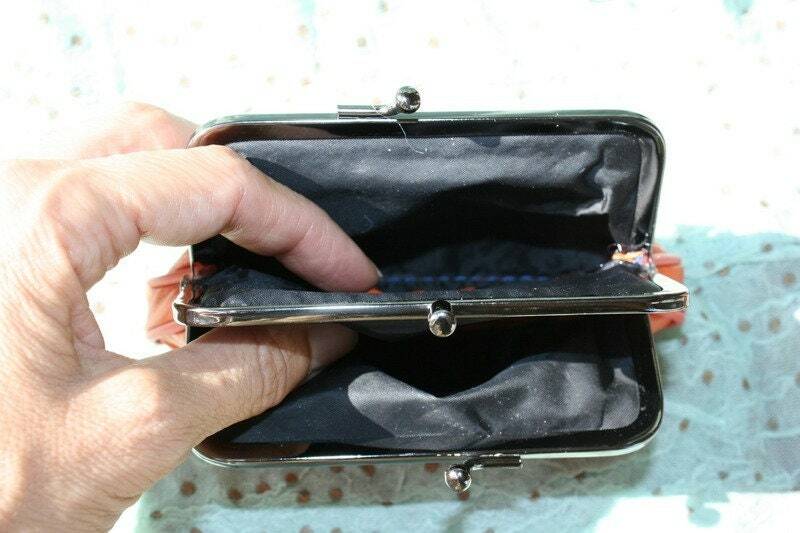 Separate zipper for credit cards at the base. Butterfly charm attached to the zipper.